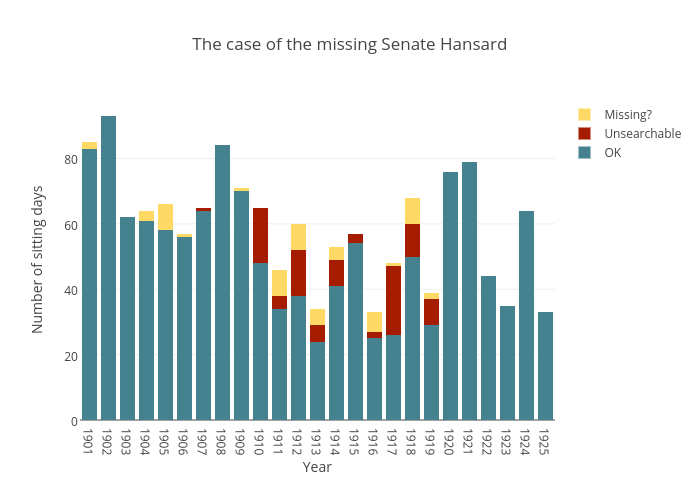 Wragge's interactive graph and data of "The case of the missing Senate Hansard" is a stacked bar chart, showing OK, Unsearchable, Missing? ; with Year in the x-axis and Number of sitting days in the y-axis.. The x-axis shows values from 1900.5 to 1925.5. The y-axis shows values from 0 to 97.89473684210526.